The 2019 Conference will offer Panel and Abstract Submissions. Abstracts may be accepted for Poster or Oral presentation. 2019 Panel and Abstract Submissions are now closed. Population health varies widely around the globe. Differences are fueled by economic inequalities, environmental factors, and political institutions and priorities. To understand population health in the United States, it is important to view it within this larger global context. Why does the US lag behind other wealthy countries on many population health indicators? What practical lessons can US policymakers take away from the experiences in other countries? Working across disciplines, how can scholars improve health outcomes around the world? To keep pace with global advances across the scientific spectrum and keep them grounded in the reality of implementation of policies and programs to improve population health, IAPHS brings researchers and practitioners together to develop novel approaches and methods to integrate across the sciences. The theme of the 2019 IAPHS meeting is “Local, national, global impacts on population health”. The overall goal of this year’s IAPHS conference is to stimulate new thinking and approaches for population health research by bringing together scholars and practitioners from a range of disciplines to: exchange boundary-breaking research on population health and health inequities writ large, including more specifically how policies and programs improve population health in countries around the globe. Ultimately, we aim to facilitate productive discussion on the challenges to improving population health and the best ways to reduce health disparities, within and outside the US. 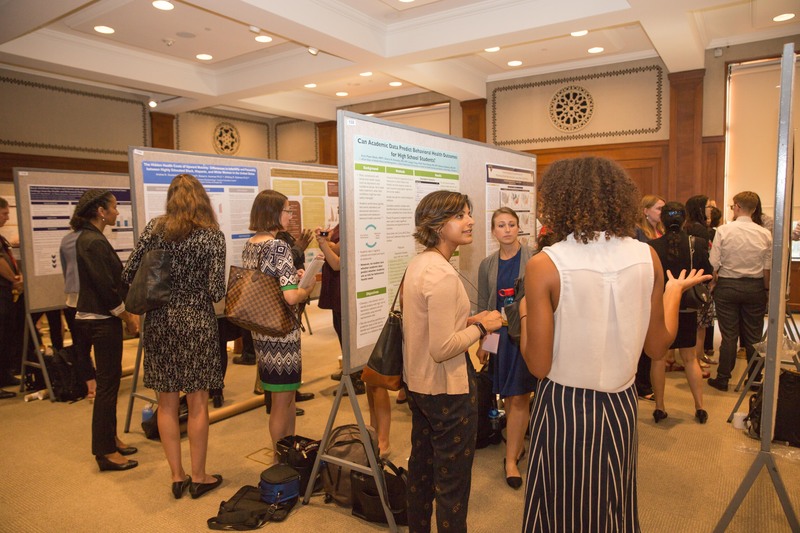 The Program Committee encourages submissions that highlight the promise of interdisciplinary population health science and action that can improve population health across the life course. Submissions from postdoctoral scholars, graduate students, clinical students and trainees are especially encouraged. Groups of individuals are invited to submit panels that will present original research or engage in innovative discussions that push the boundaries of population health science, practice, theory, methods, student training, or technological innovations (or a combination of these) around a significant issue relevant to the conference theme. Note that work presented in these panels should not yet be published. All proposed panels should include the session organizer, and 3-4 panelists. The IAPHS annual meeting is aimed at fostering cross-pollination of ideas among panel members and an interdisciplinary audience. Panels should not be comprised of presenters from a single academic discipline. Individuals or co-authored teams are welcome to submit an original abstract for consideration on the program. Accepted Abstracts will be presented in either a Poster or Oral Contributed Session. Abstract may present original research, practice, theory, methods, new ideas on student training, or technological innovations. Abstracts of work that has been neither published nor presented at another meeting. Abstracts derived from papers under review by a journal but not yet accepted. Abstracts that have been submitted to other meetings for presentation and are under review (however, if accepted may not be presented both at IAPHS and another meeting). Abstracts based entirely on research that has been presented at other meetings, even if unpublished. NOTE: The Submission Policy listed above is based on the status of the work, at the time of submission. Submissions must focus on population health, broadly defined. Submissions should not include unnecessary disciplinary jargon. Remember that there is a strong likelihood that your submission will be reviewed from at least one person outside of your field. If the reviewers do not understand your submission, it is less likely to be selected. If your panel submission or abstract is based on original research, you must include enough details about your data and/or results to convince the Program Committee that your work will be ready for presentation at the October meeting. Priority will be given to submissions that will appeal to an interdisciplinary audience. Panel proposals must include a description of the panel (as you wish for it to appear in the program, should the session be selected), a listing of the panelists, talk titles and talk descriptions (200 characters limit) for each panelist. All panel members, must indicate a willingness to attend the conference and participate on the panel. Contact information and each panelist’s professional affiliation also need to be included. Abstracts that highlight original research must be 2,000 characters or less and must communicate to the Program Committee the question that is guiding the research, the significance of the research, data/methods, and preliminary results. These abstract submissions must be based on unpublished research. Abstract submissions will be judged on the extent to which the research, practice, or training is pushing boundaries in this area of study, is clear and complete, and is related to the theme of the meeting.